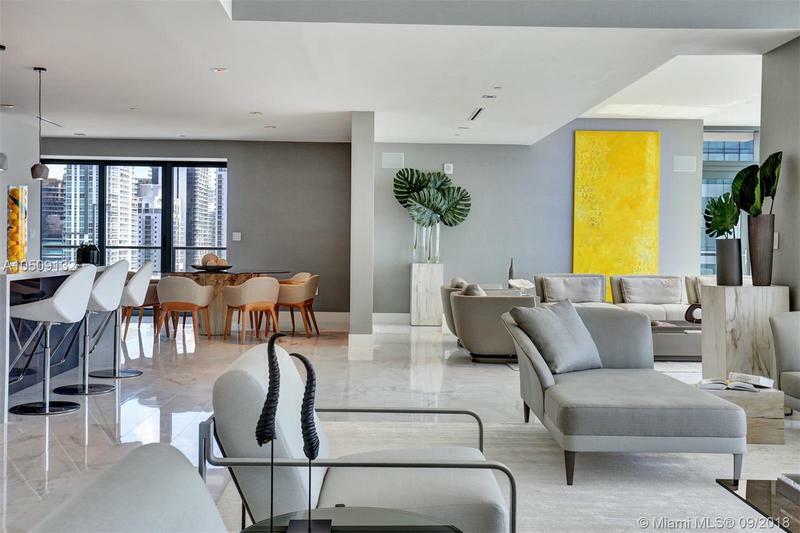 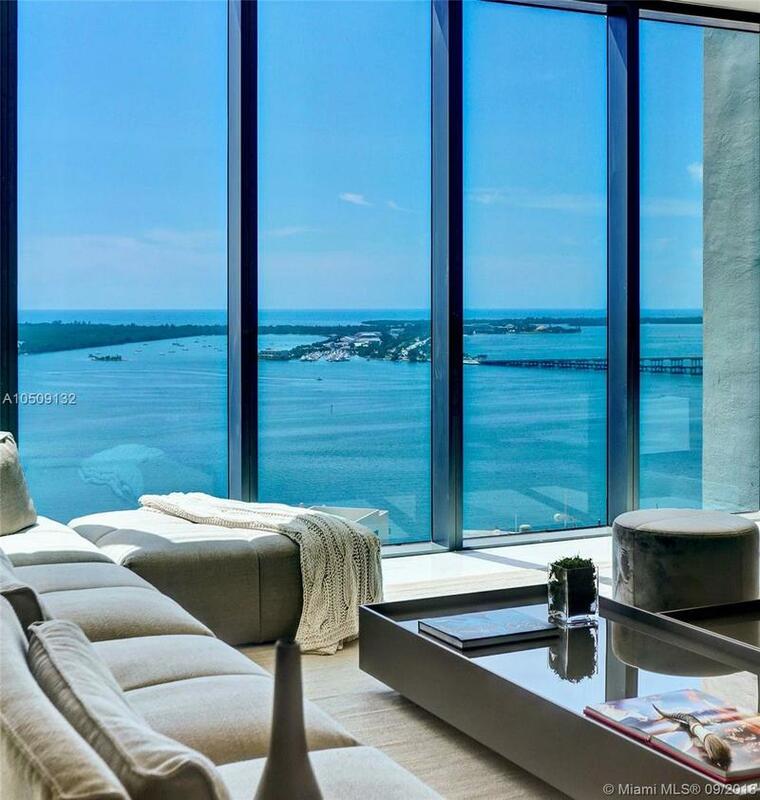 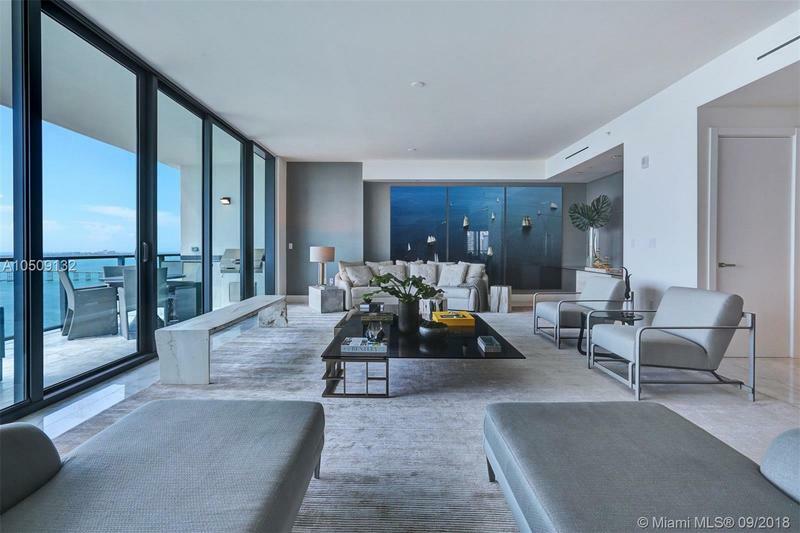 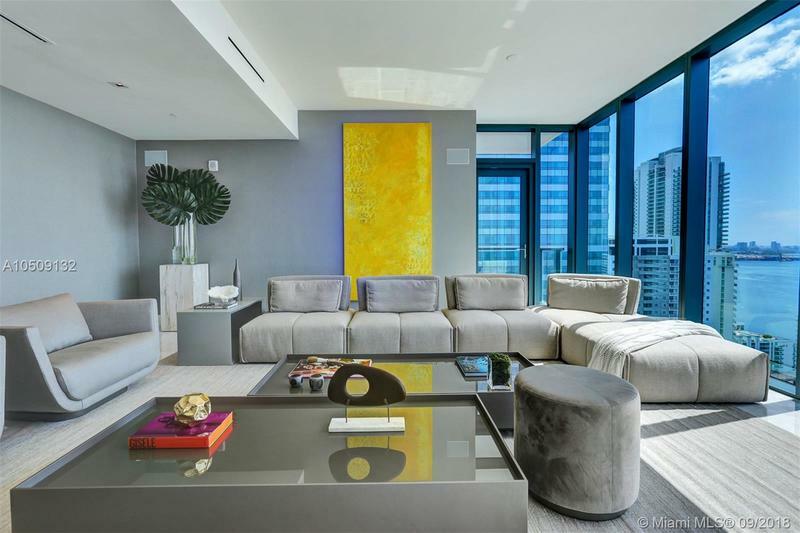 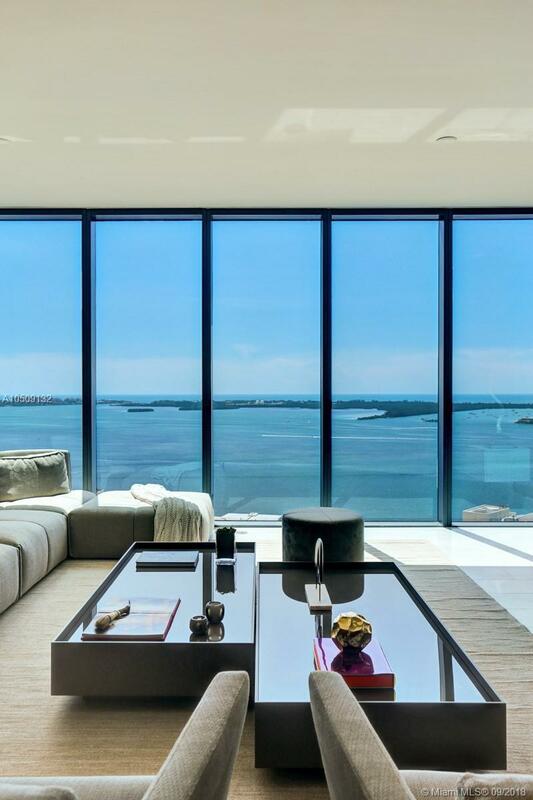 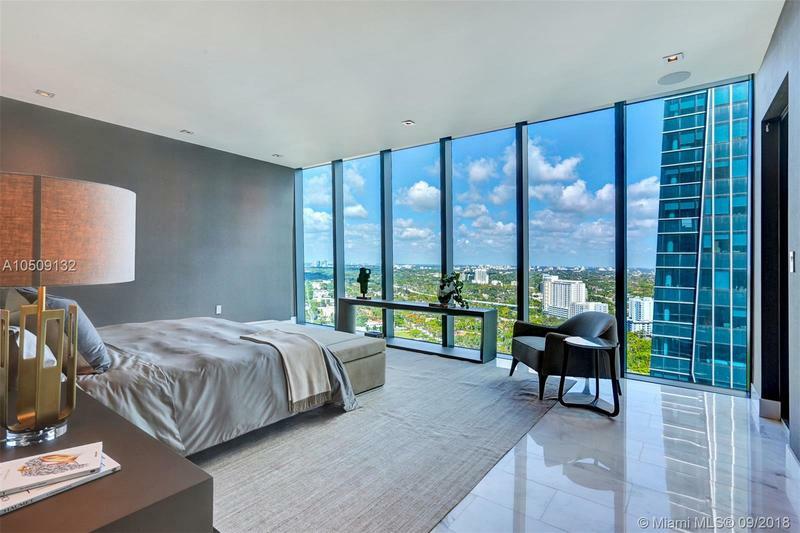 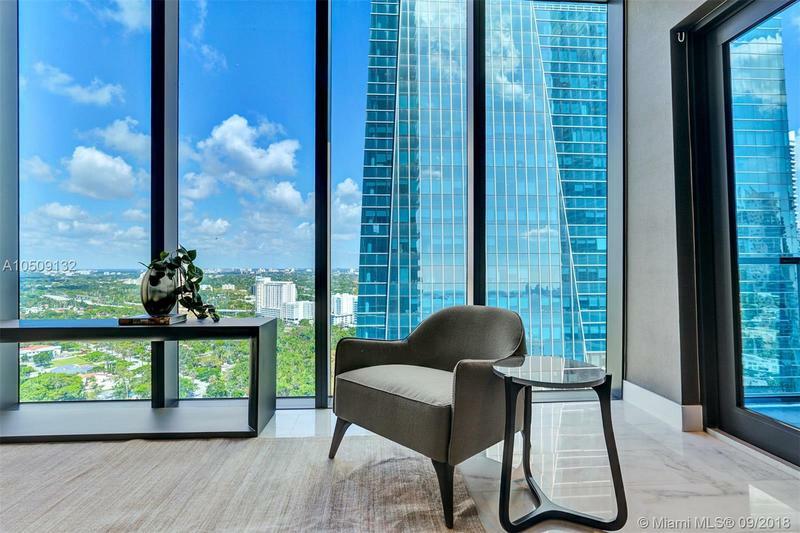 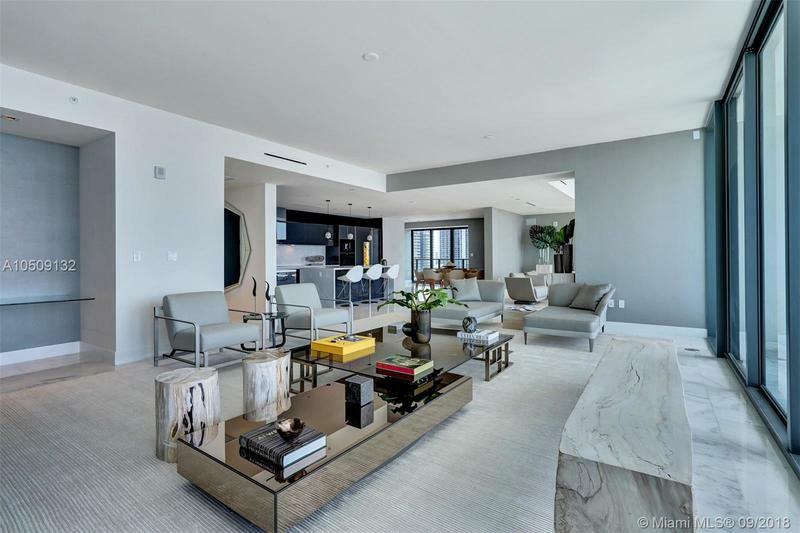 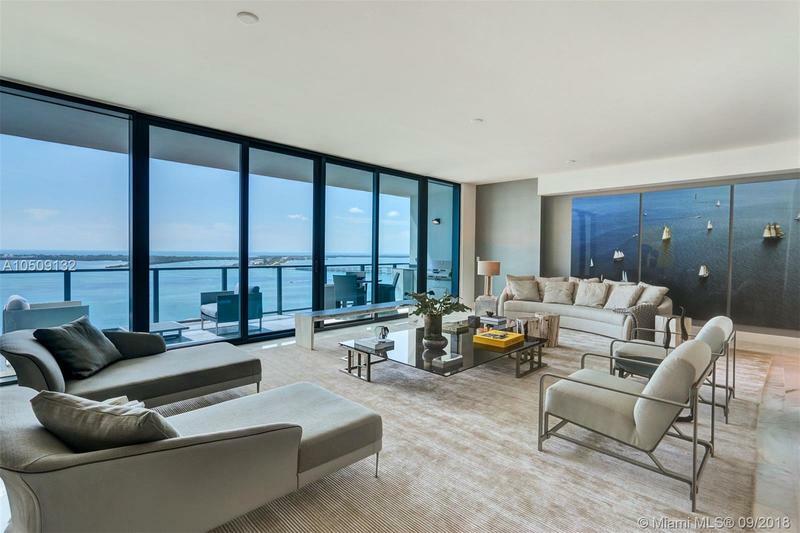 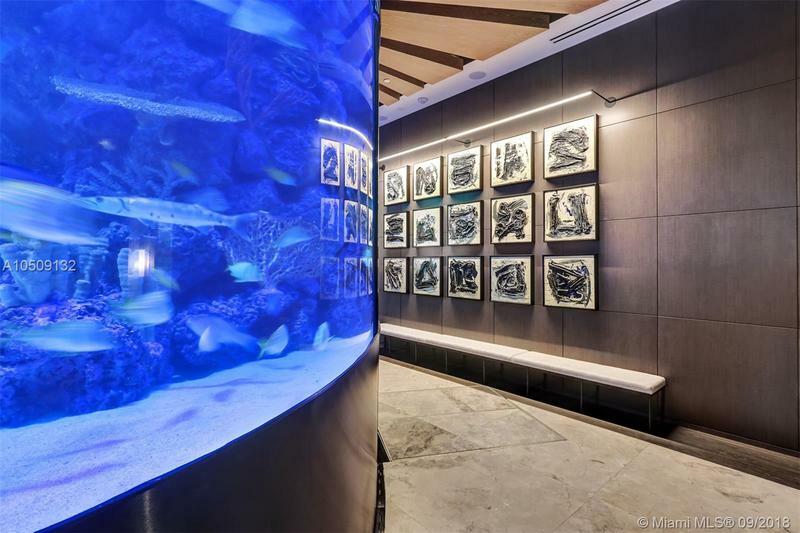 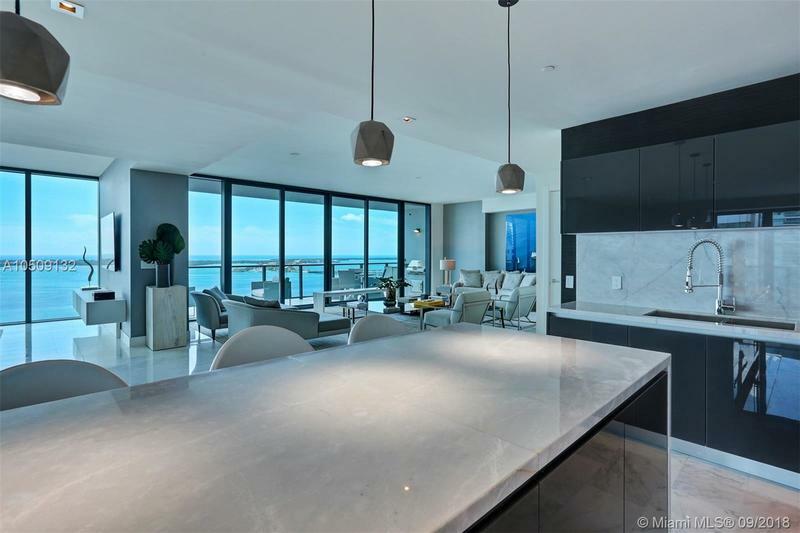 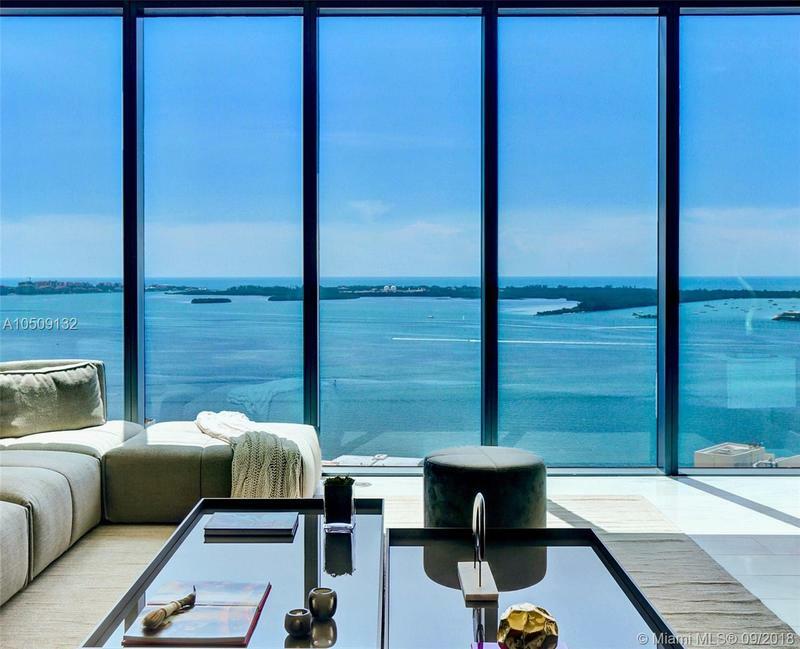 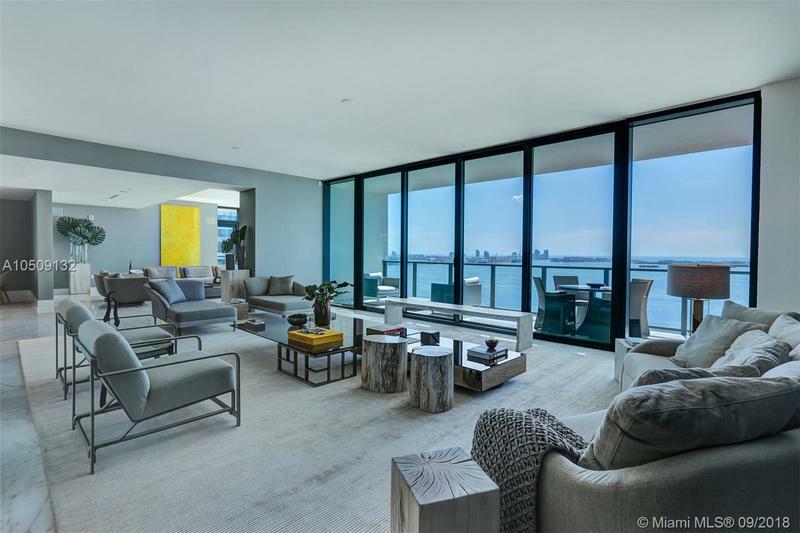 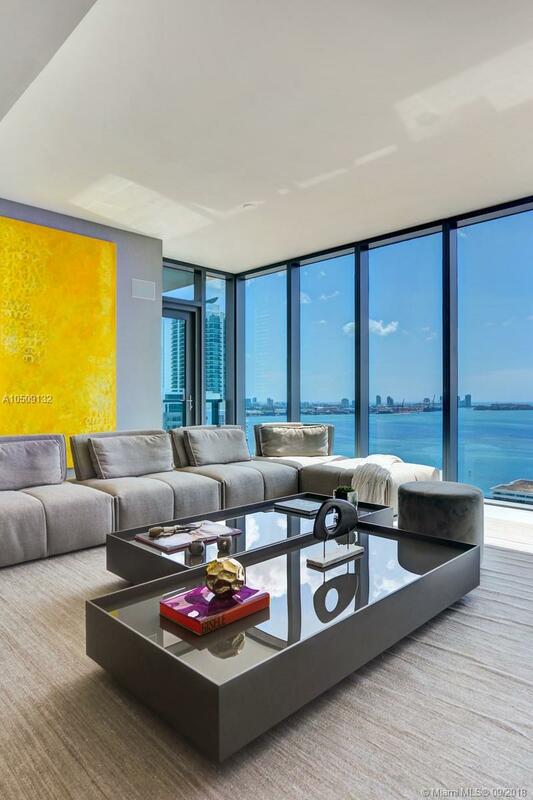 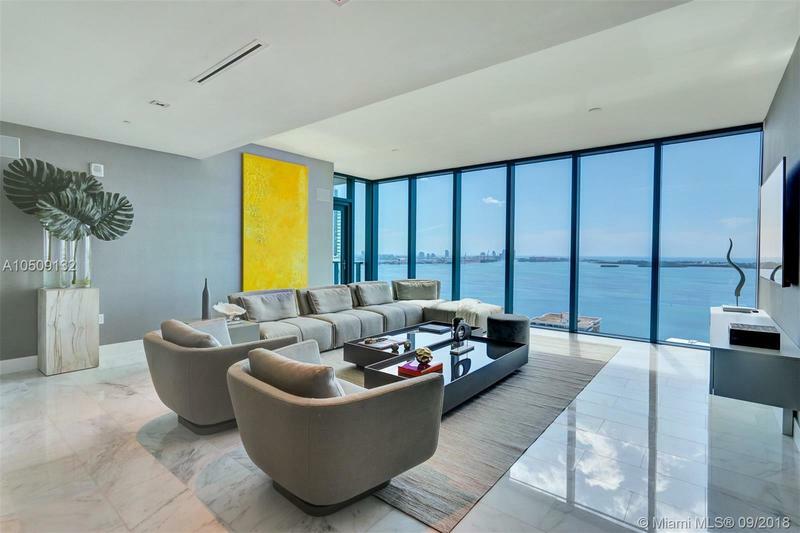 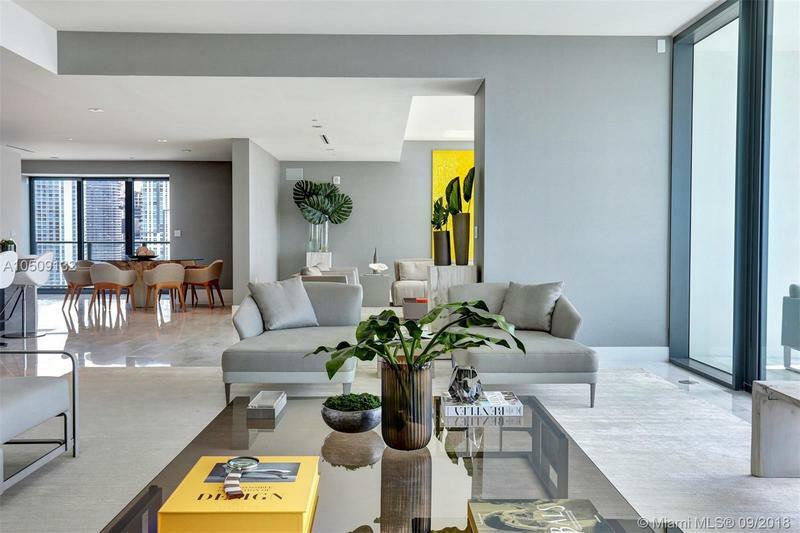 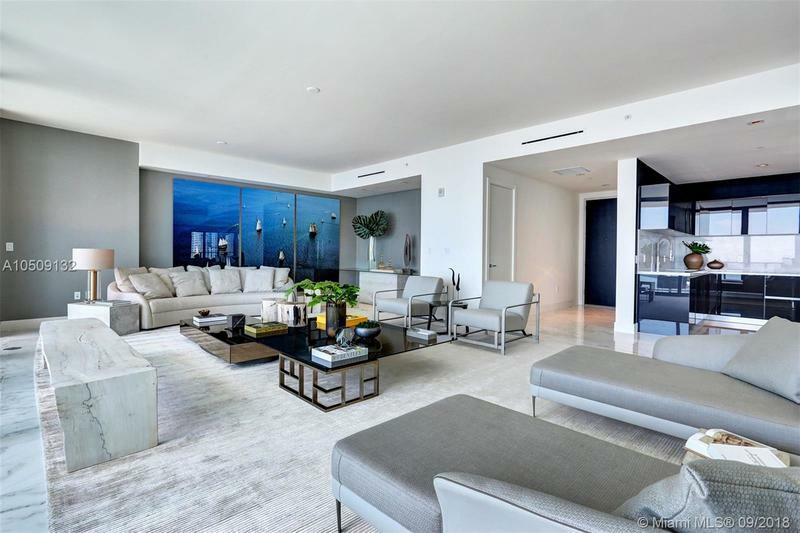 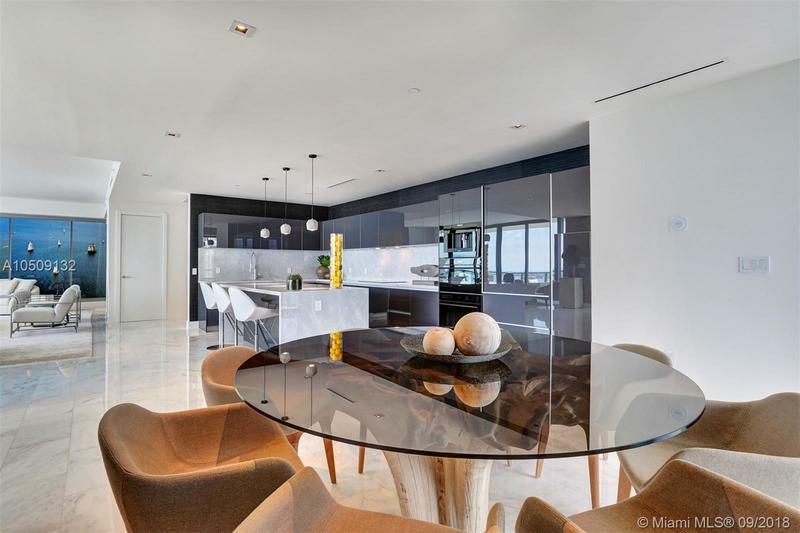 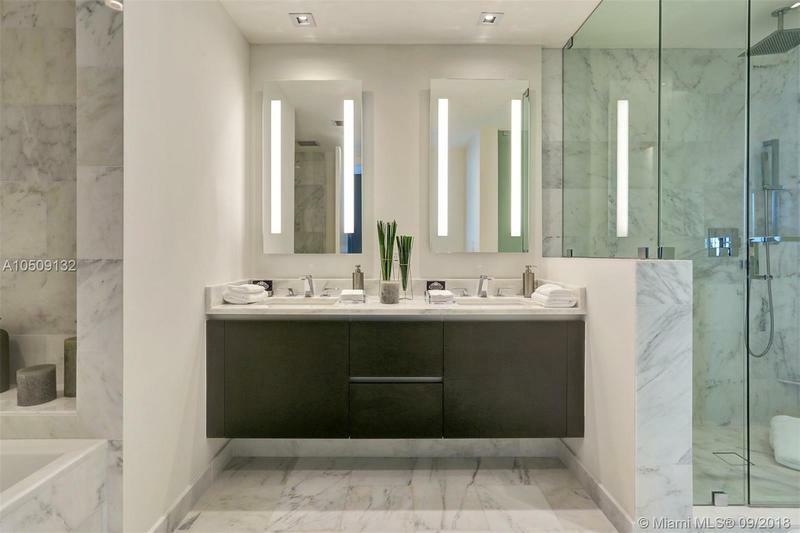 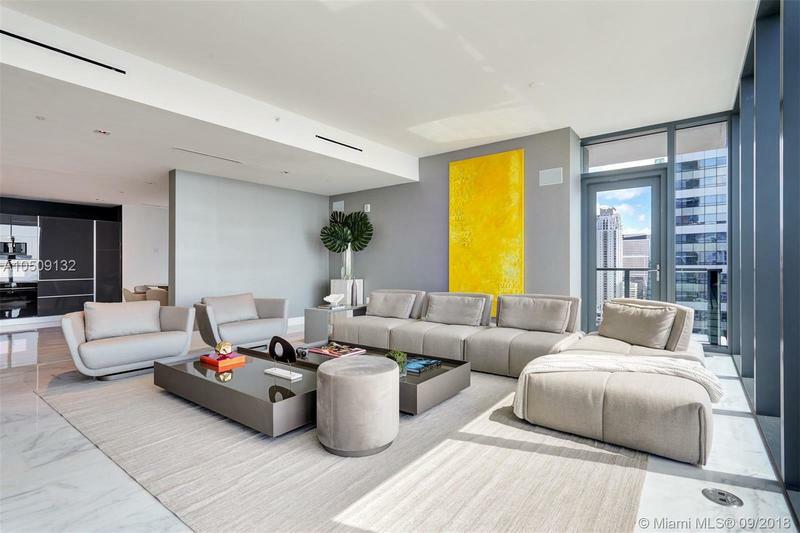 Stunning Designer turnkey Residence by Artefacto with breathtaking Biscayne Bay & Ocean Views. 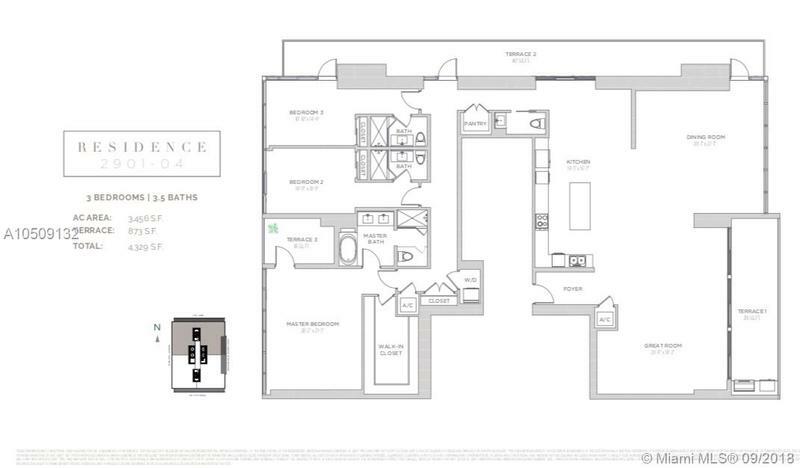 Unique combination floorpan makes this unit one of the largest 3 Bedroom in the building. 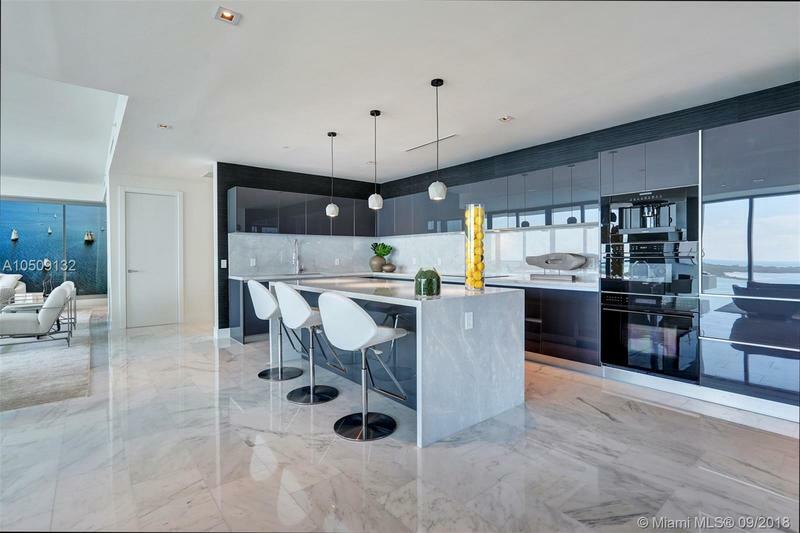 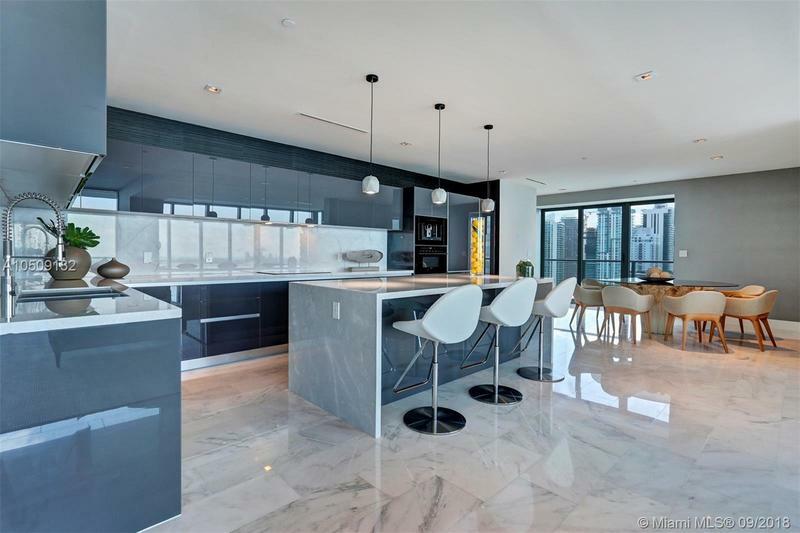 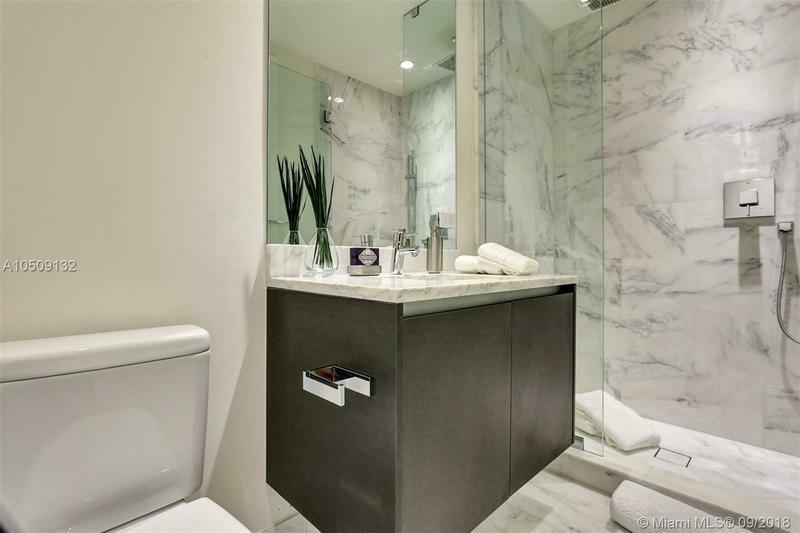 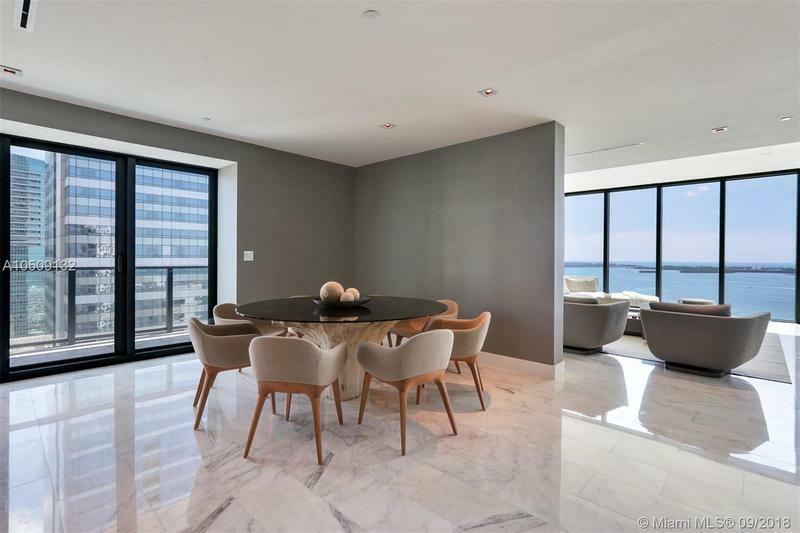 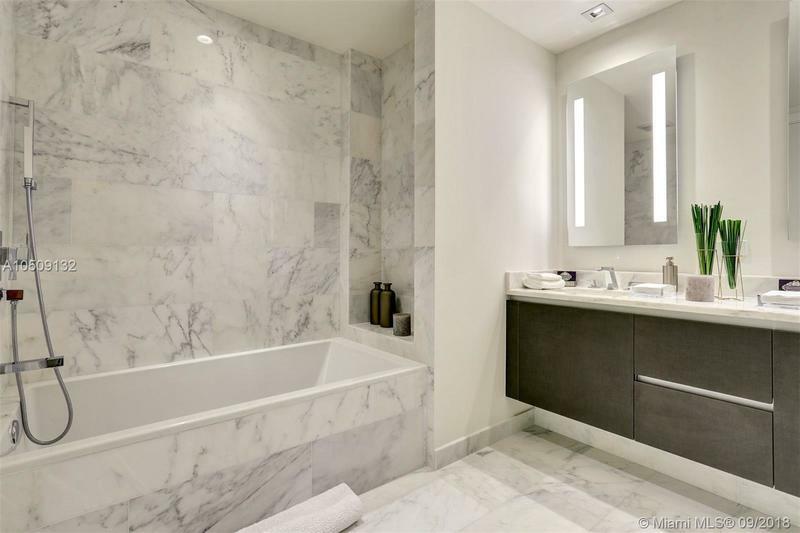 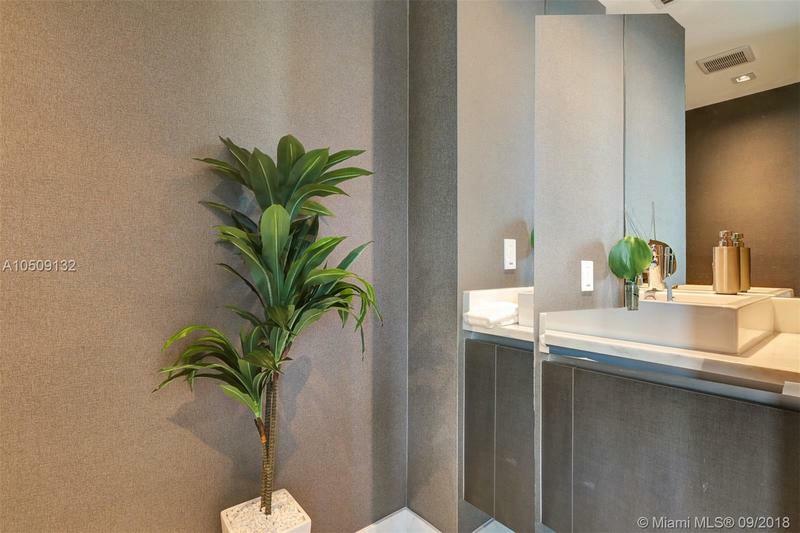 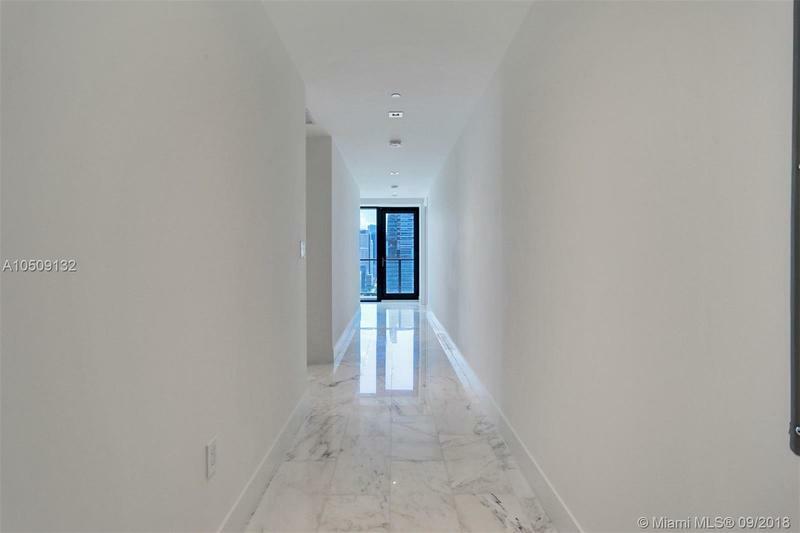 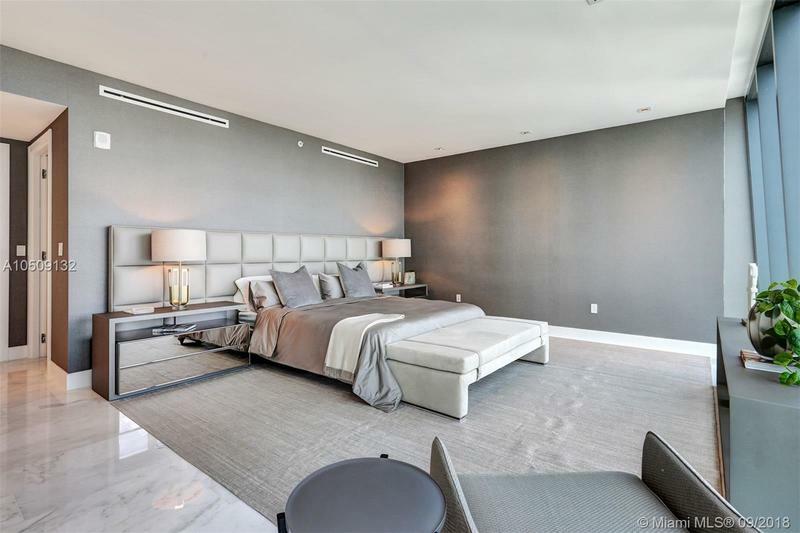 Exquisitely finished with Luxor Marble 12x24 throughout, Dark Grey Glass Kitchen Cabinetry, 12’ ceilings with floor to ceiling windows, Side by side paneled Sub-Zero/Wolf appliances, Built-in espresso machine, Oversized Master & Living areas great for entertainment. 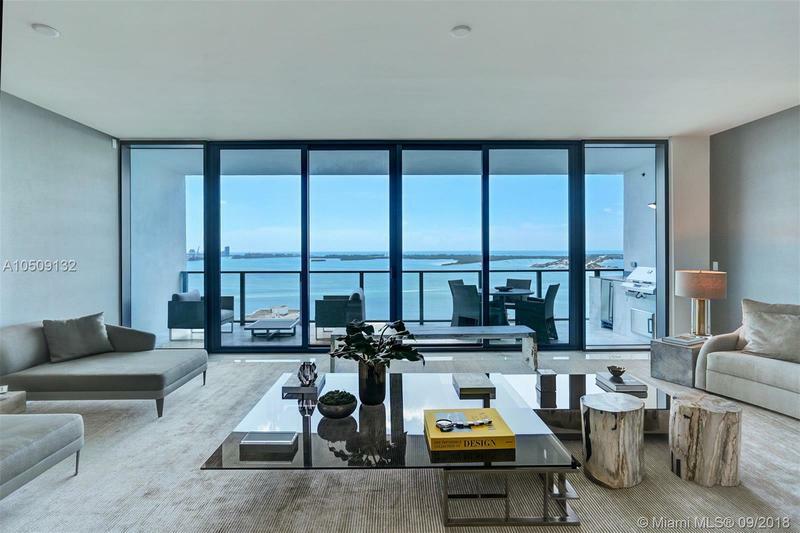 Large balcony with summer kitchen and barbecue. 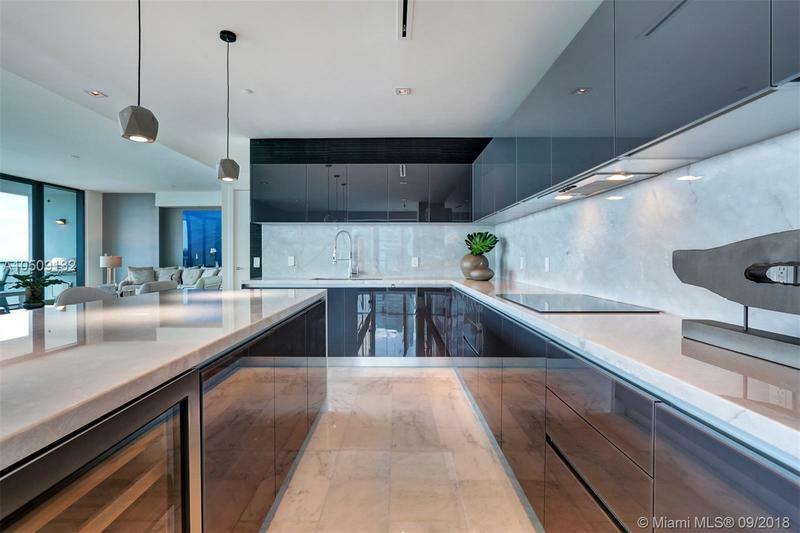 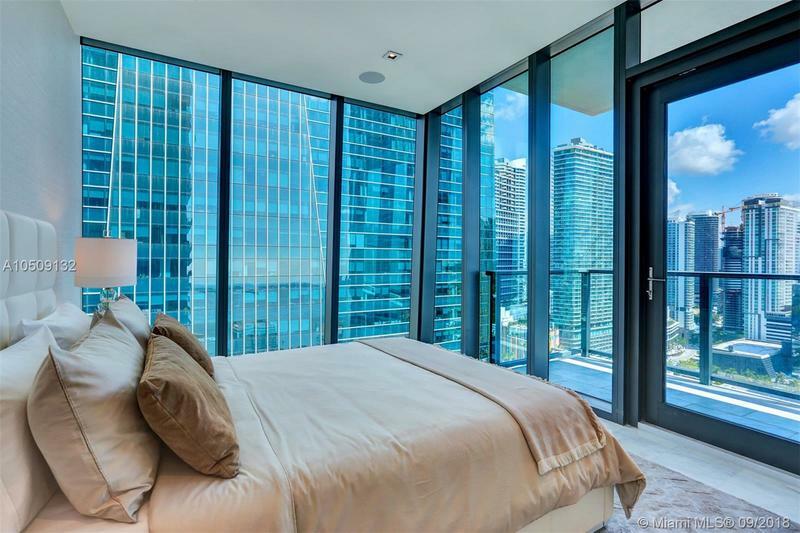 Echo Brickell is a state of the art “Smart” building integrated audio, video & lights system controlled by apple devices designed by Carlos Ott + Yoo, fitness center, Infinity edge pools. 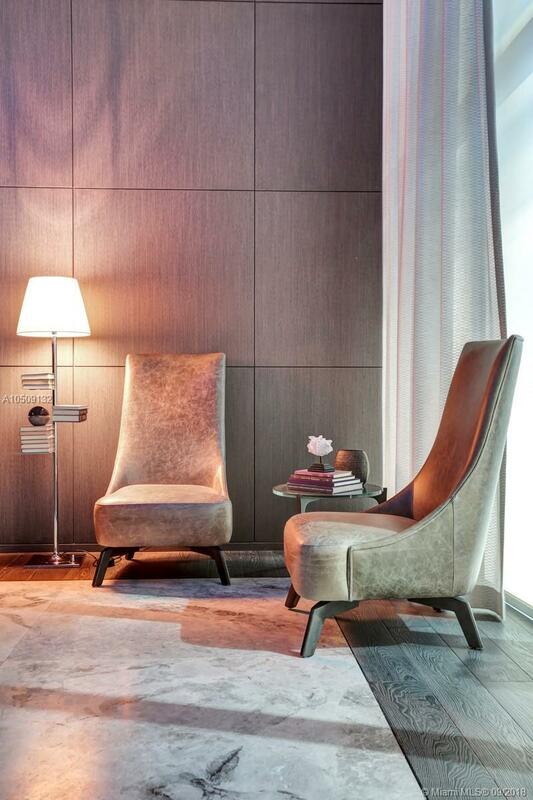 Enjoy complimentary daily breakfast poolside, in-house chauffeur services, or the on call dog walkers. 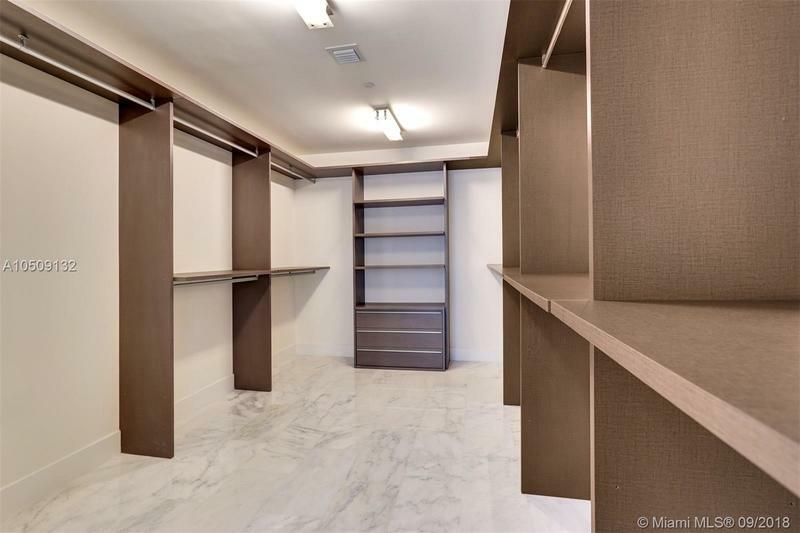 4 Parking Spaces.